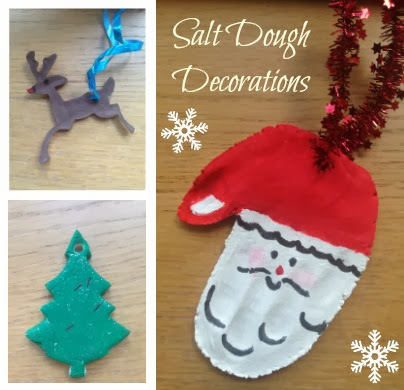 The Christmas crafts have begun and first up were some simple salt dough decorations! The ratio I use is a portion of flour to half a portion of salt and half a portion of water. Firstly you need to mix the flour and salt together and then slowly add the water to create a soft dry dough - it shouldn't be sticky! Knead for a few minutes until smooth and then roll the dough out to around 1cm in thickness. If you do it any thicker it takes a lot longer for the decorations to dry and any thinner they can break. 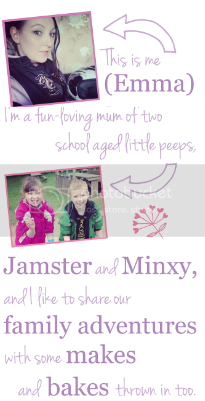 This is a fun sensory activity for the kids to get stuck in with! Use the cutters to cut out the shapes you require (we chose stars, Christmas trees and reindeer for a festive theme) then place them onto a baking tray. Don't forget to make a hole in the top of each so you can hang them up, we used a straw to do this. Place the decorations in the oven at 75 degrees for 90 minutes on each side. You will know when they are done as they will be firm and slightly lighter in colour. Jamster selected a HUGE paintbrush! We used paint to decorate each and added some glitter for a pretty sparkle to finish. We inserted ribbon through the holes to hang them from the tree with although you could easily make them into bunting. 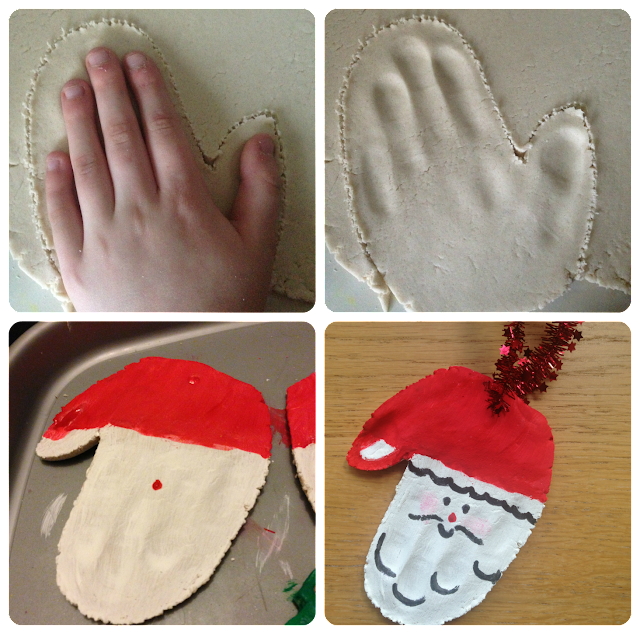 We also used our hands to create some Santa decorations by cutting around each and pressing down firmly to leave finger indentations. These were baked in the same way and then decorated with red and white paint to look like Father Christmas. We dabbed a little pink paint on too for blushed cheeks and used a felt tip pen for detailing. What Christmas crafts have you been making? These look lovely - what a great idea. My daughter will love to make these, I am going to give it a go! so cute! We are going to make these tomorrow! Sure will give this a go. Will try to remember to do these for this Christmas! 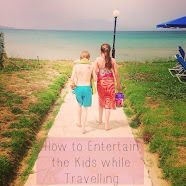 What a great idea and quite easy to do with children. We make these on rain/snow days. So easy and cheap! I love your Santa! I'm definitely giving that a go this Xmas (Even though it's a long way off). I love making salt dough handprints as keepsakes as it's nice to look back on and see how much my little lady has grown. Great ideas, Dough can be so useful and fun for craft. I got a book from the library when the children were little and we made 'ladies' as Christmas presents using a garlic press for the hair, they were lovely when painted in bright colours. Absolutely love the santa hand print! 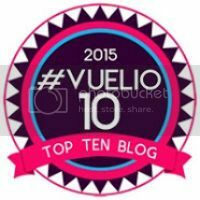 Excellent ideas - must give them a go - thank you!